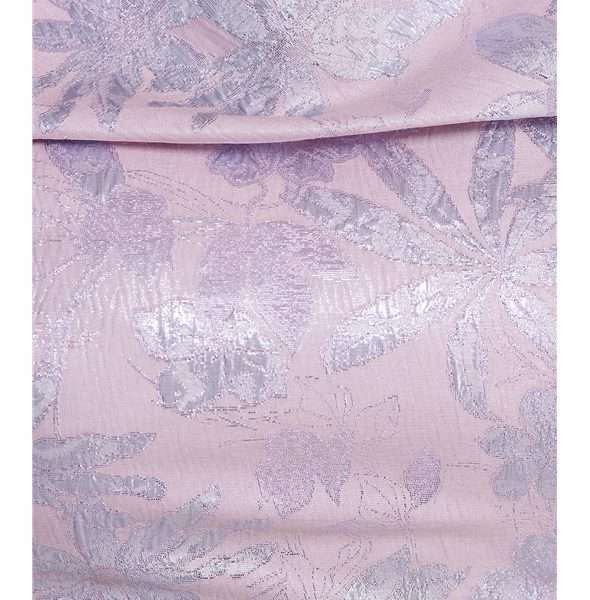 Anoola silver and lilac bardot off the shoulder collar dress in a luxurious light lilac pink and silver brocade fabric. Features straight fitted style and off shoulder collar that comes to a point at the back, 3/4 sleeves and button detail at back. A chic look for a special day. Anoola silver and lilac bardot off the shoulder collar dress. 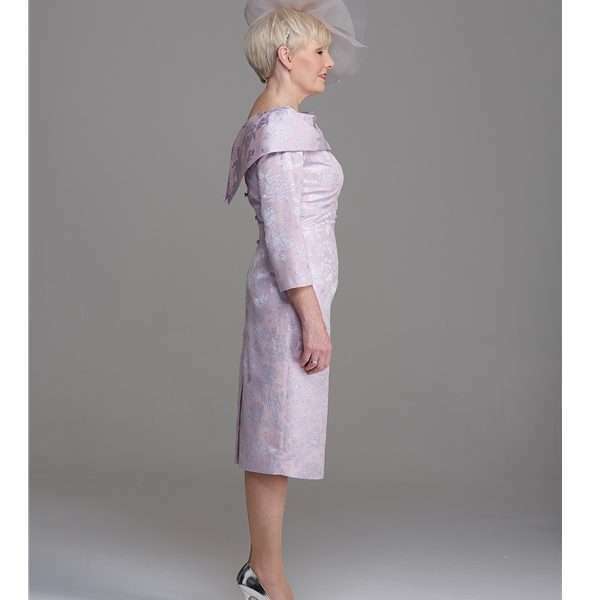 This beautiful mother of the bride or groom dress with its feature collar is sure to have admiring glances at your next social occasion. 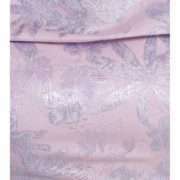 Styled in a luxurious light lilac pink and silver brocade fabric this dress is breathable and very comfortable to wear. 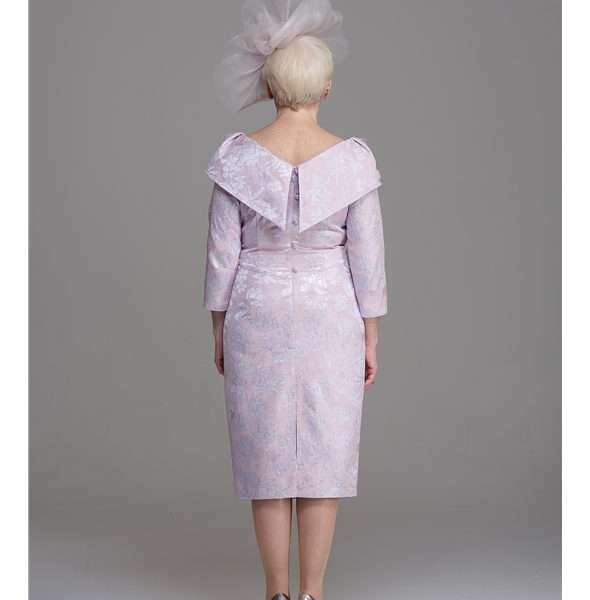 The feature collar comes to a point at the back of the dress and has pretty covered button detail. The straight fit of the dress makes it flattering on most shapes and the midi length allows it to be adjusted to suit your height. Sleeves to just past the elbow gives that sought after coverage and an elegant touch, a chic look for a special day. Blush Boutique choose Anoola to add to our occasion wear collection for those searching for something a little different. Design director Anna believes that Anoola is the solution for ladies who desire the best in quality, design and fabrics. She believes a woman should look fantastic and feel comfortable.“We aim to emphasise the natural beauty of our clients by offering very special designs that feel sensuous to the touch and allow the body to breath as nature intended. You will love wearing these special creations. The entire Anoola collection has an underlying theme of the utmost femininity and lady like glamour which will make sure that you stand out by wearing these unique outfits.